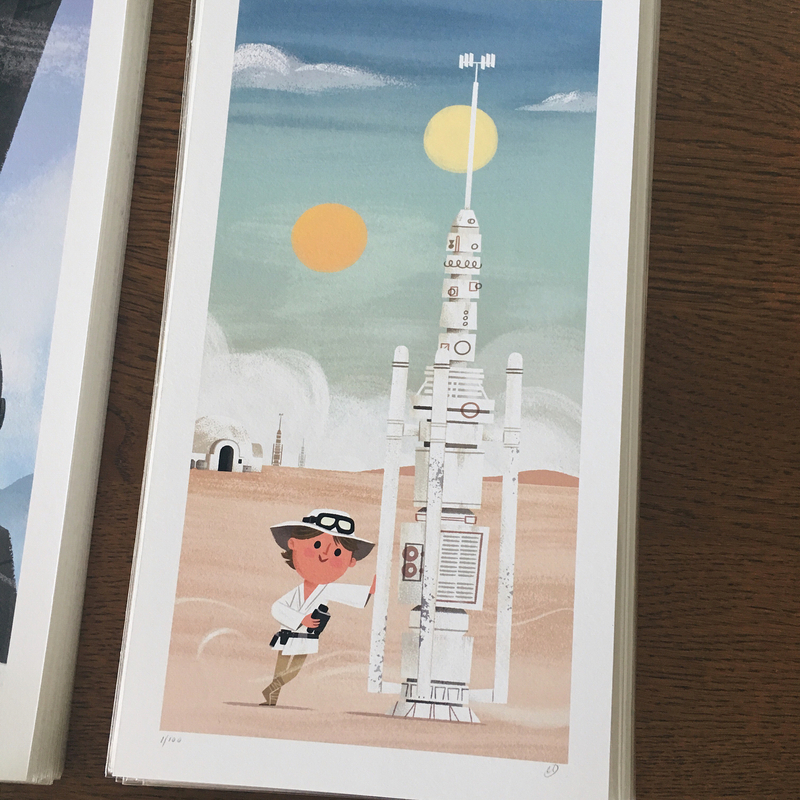 Artist Chris Lee will be releasing 5 super cute new Star Wars prints exclusively at San Diego Comic-Con 2017 later this week. 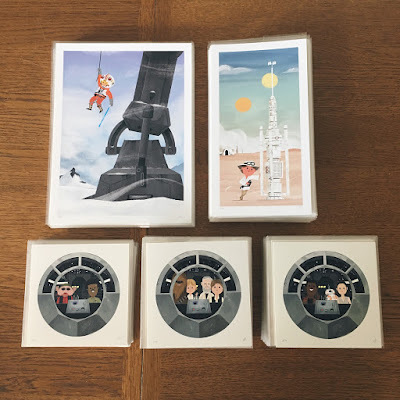 To say The Blot wants them all is an understatement! 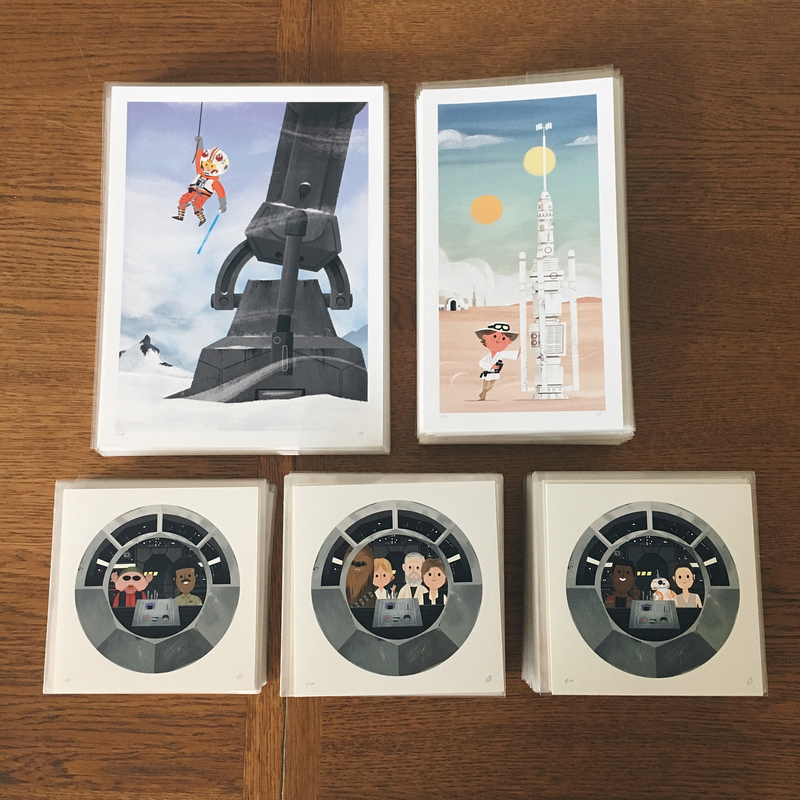 First up are two Luke Skywalker prints based on Episode IV and V. The A New Hope print “Farm Boy” measures 6”x10”, while the Empire Strikes Back print “AT-AT Attack” is 9”x12”. 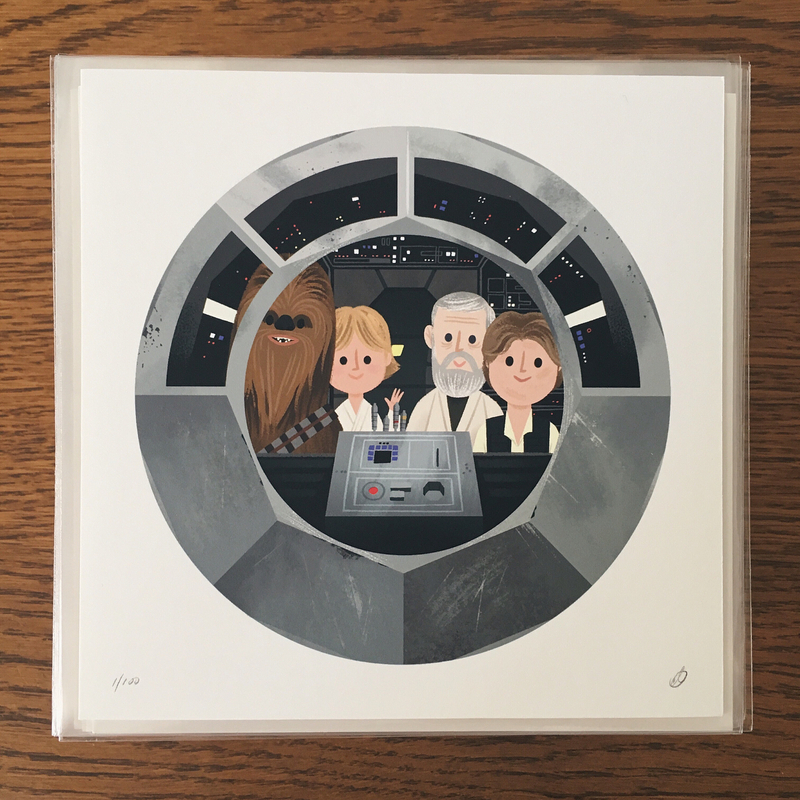 Then there are three fantastic 6”x6” Millennium Falcon prints, which The Blot really, really wants! 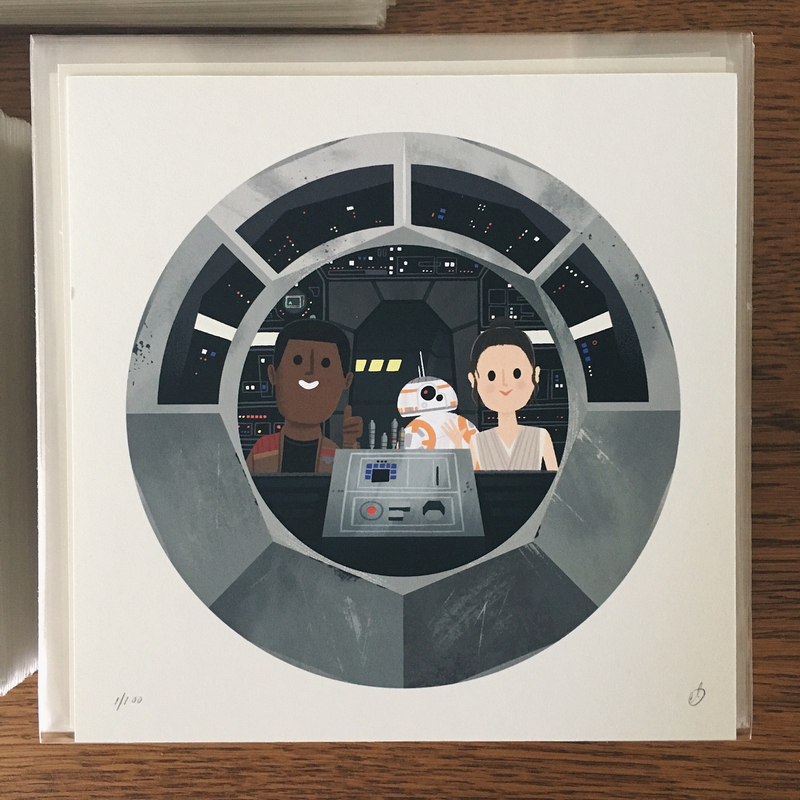 This series of prints spotlights all of the heroes that have piloted the legendary starship throughout the Star Wars Saga. 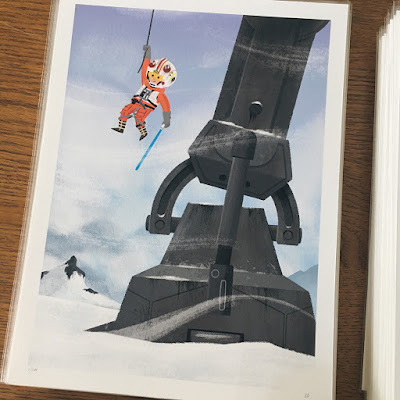 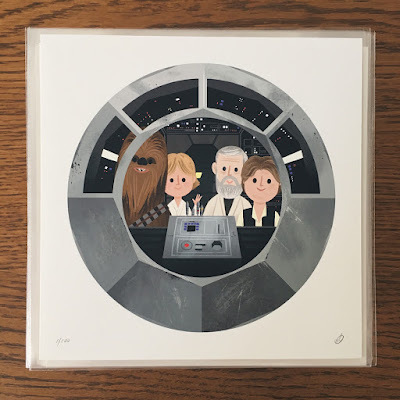 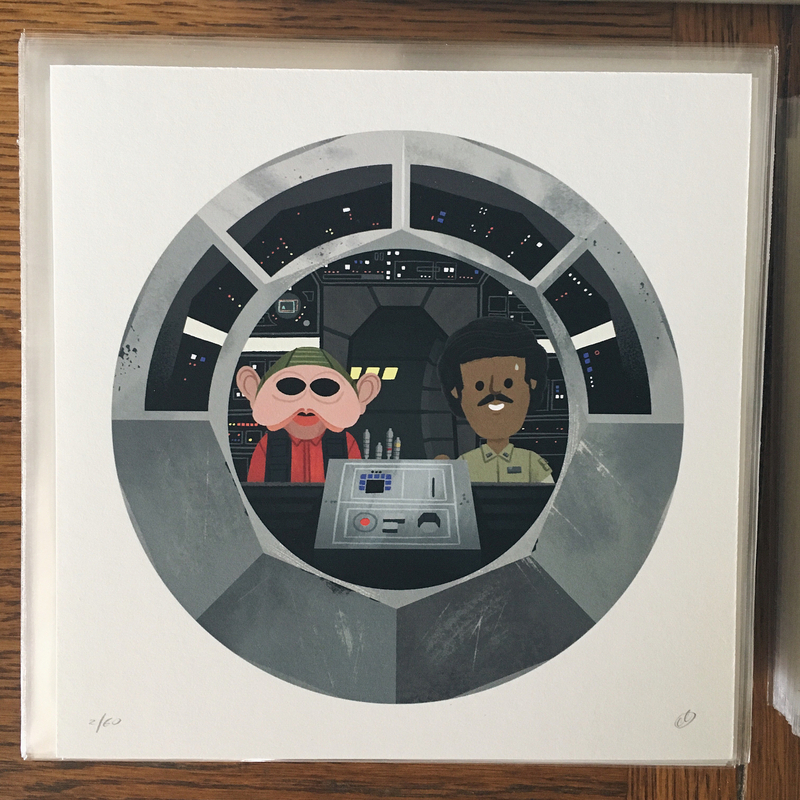 All five prints are printed with archival inks on cotton rag paper, and are limited to 100 pieces, except the Lando/Nien Nunb print which is limited to 60 pieces. Fans can pick up these prints at The Beast Is Back Inc SDCC both #1535. Any remaining prints will be made available at The Beast Is Back online store after the convention.